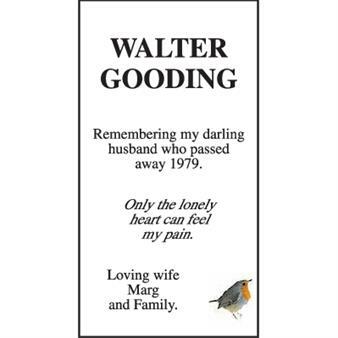 Originally printed on February 8, 2019 in the Ipswich Star. 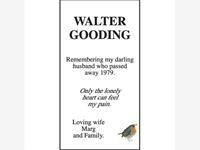 WALTER GOODING Remembering my darling husband who passed away 1979. Only the lonely heart can feel my pain. Loving wife Marg and Family.